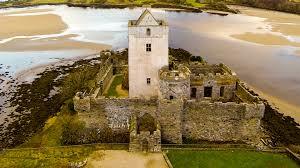 I often wondered about those initials in Doe Castle– excellent post – thank you ! Yes it’s a nice piece of work! Thank you for a very good piece on the family. I would like to point out that ” http://www.familyreemaker,com.users/h/a/r/Robert‑H‑Hart/FILE/0005page.html ” is no longer running but I have moved it to ” ancestry.co.uk ” under ” HART’S OF KILDERRY & BALLYNGARD (Muff) ” once more thank you.